We are big enough to serve your business regardless of size but we are also small enough to know your business. We are the best fit for companies that are past startup stage and looking to grow. Bid management for existing campaigns and new campaigns. Our system analyzes your traffic and gives real visitors an Engagement score. Think of this as a predictor of how likely a visitor will become a customer. Our Adwords Certified Experts then use this information to buy only the traffic that has the highest chance of converting. 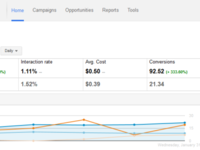 Our real-time analytics allows us to buy and measure traffic by the hour, not days, weeks or months. 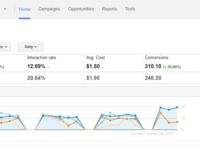 Get in touch now and save up to 50% of your Google Adwords campaign budget. We have found TEA Software Pay Per Click service to be nothing short of Awesome! 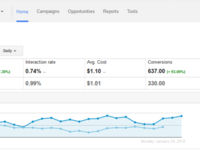 Pros: In a very short span of time we have gone from paying Google Adwords 20% of our revenue to just 6%! We have used other PPC management services but we never got close to this level of results. TEA truly allowed our company to grow and at very reasonable rates. This has been one of the best decisions we made this year. Cons: Cons: I personally work a lot during the weekends so I am disappointed that responses are slightly delayed when I send them questions during Sundays but this is understandable. The process was simple and straight forward. They took a deep dive into our business to come up with the best solutions and keep within our budget. Pros: What I appreciate the most about this software is its scalability and flexibility. It is perfect for various users and business models since you can customize it to fit your needs. Not to mention that the software itself has a very personal touch. Regardless of what budget you set aside for your Adwords campaign, with proper analysis, it is possible to discover the most profitable path for your bidding, which will make your advertising as sharp as possible.